You have finally found a new home and decided on a professional moving company. Now comes the sometimes overwhelming job of packing… Where do you begin? You may have already decided to have the movers do some of the packing for you. But first, you need to sort out what items get packed and what items don’t. There are some items in your home that require specific packing and handling in order to reach your destination safely, and there are also some items that should not be packed at all. 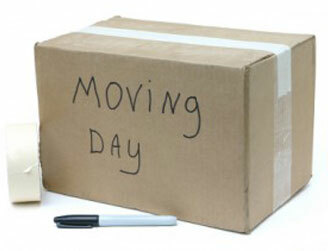 Contact your moving company prior to moving day if you have any questions about any specific items. Perishable items: Throw out any perishable food that will not keep during the move. Food, animals, and live plants are perishables and will need special handling. Therefore it is always recommended that the customer carry these items with them when moving. Dangerous items: Flammable or hazardous items such as batteries, car oil, charcoal, gasoline, cleaning fluids, ammunition, and propane tanks are safety hazards and are therefore illegal for your movers to transport. You can give these items away to neighbors or take them to a recycling center or fire station to be disposed of properly. Irreplaceable items: These may include items that are of sentimental value or of importance. Items such as personal files, checkbooks, financial statements, software, stocks, and bonds are best to carry with you. It is also recommended that you care any personal items such as jewelry, cash, medicines and other valuables with you during your move. Your professional movers are here to help and advise you on any specific questions or problems that may arise while getting ready to move, and they will ensure that your moving day runs as smoothly and safely as possible! This entry was posted in Uncategorized on July 10, 2017 by BB&D Editor.